Reddit can be a confusing place. There are thousands of subreddits, so finding the most interesting ones can be difficult. For an overview of all the Reddits out there, along with their popularity, then the aptly named SubReddit Finder is the place to go to. Before you click on the link to go visiting the site, I must warn you that some categories on the page are definitely NSFW. Some of those categories are among the most popular, so they appear more prominently than the others (the bigger the category text, the more popular it is). SubReddit Finder does what it says on the tin. Using the site is easy enough. If you see a topic that interests you, click on the title and you'll be taken to another page which drills down that category into sub-categories. From there, you can be taken directly to the reddit.com page in question. 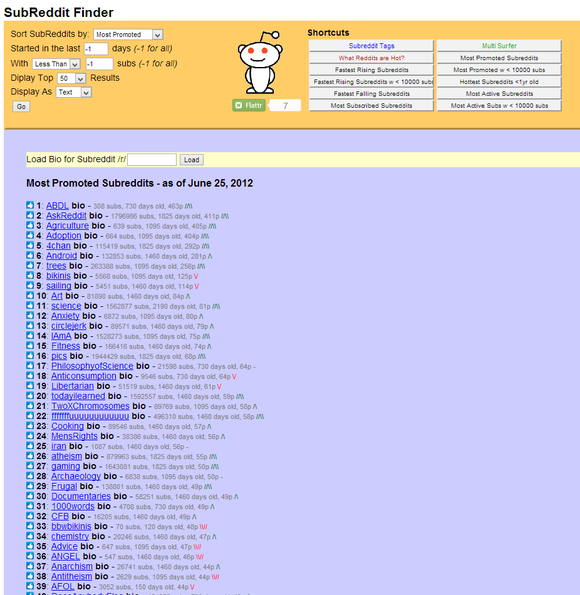 Or if your query is more of a general nature, then look towards the top of the screen in the yellow section where you can be taken to names and links of "Reddits that are hot," "Fastest rising Subreddits," and "Most Active Subreddits." 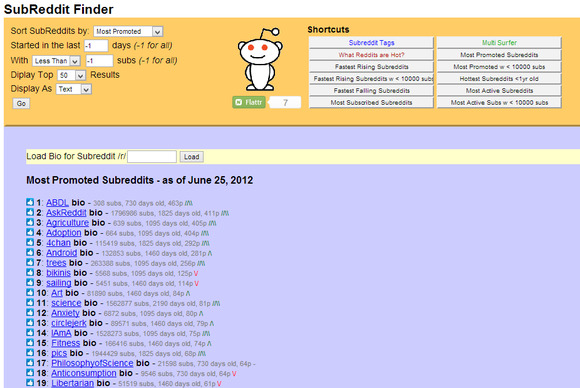 You can also be taken to subreddits with various filters such as when it was started, and a minimum number of subscribers. Note: The Download button takes you to to the vendor's website.